With 2018 just around the corner, I feel it’s time for the annual roundup – so here are my Top 5 moments from the last 12 months and also a little sneak-peek of what is coming in the new year! White cars definitely look best when they’re nice and muddy! 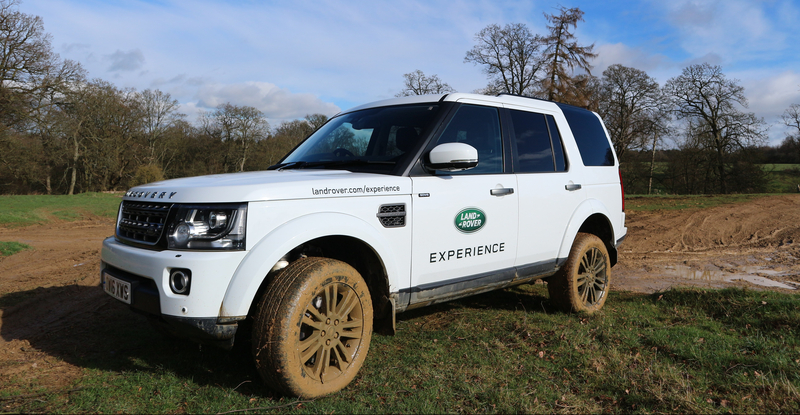 As car driving experiences go, I’ve done a lot over the years both off-road and on race tracks and I must say that the team at the East of England Land Rover Experience Centre did a fantastic job. From the fresh coffee on arrival to the full de-briefing at the end, it really was worth the early start. The instructor I had was really helpful and the course was very informative and you will finish up with a lot more confidence and faith in both your abilities and your car’s. The course lasted most of the morning and unlike many track day experiences, the majority of this time is behind the wheel covering steep inclines, descents, side slopes and even wading through water crossings! Whether you’re going on a complimentary day from Land Rover after buying a new car or buying an experience for you or as a gift, it is definitely worth it. For more information on these days, or to see if you are eligible for a free session, click here. Shortly after my Land Rover experience, I was back in the driving seat of another LR badged car, this time I was given the keys to a new L405 Range Rover Vogue for a day. I have been fortunate enough in life to have grown up in and around many Land Rovers including a few different generations of Range Rovers but I had never been behind the wheel of the now nearly 6-year-old model so this was a great treat for me. I was very impressed with the new Range Rover and needless to say, the day finished with me really REALLY wanting one….. one day! The read about my drive, click here! 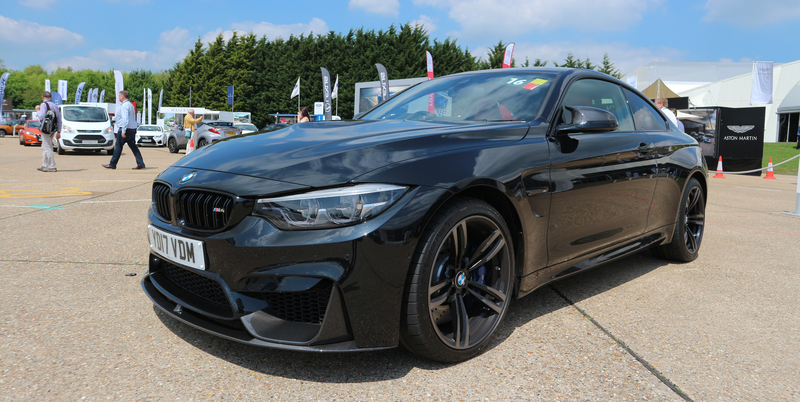 A black BMW M4 with lots of carbon… what more could you ask for!?! Back in May of this year, I was invited by the SMMT to go down to Millbrook Proving Ground along with a load of other people in the industry for their annual test day. The day is basically a chance for everyone invited to network and catch up with each whilst meeting manufacturers and driving some of the great cars that are currently on sale and also a few from the past! On the day I drove a whole list of cars, some great, some not so great, but all good fun. Highlights of the day were the Aston Martin V12 Vantage S Manual, the “All-New” Land Rover Discovery both on and off road, the Mercedes AMG GTC, the BMW M4 Competition Pack and the Mini Cooper S JCW Challenge. I also had a blast in some new Porsches, Audis and I also got to drive a proper schoolboy hero of mine, the Mitsubishi GTO Twin Turbo. A car my step-father once owned but I was never old enough to drive. It’s not every day you get an invite down to the iconic race circuit at Goodwood to drive some BMW “M” cars and to make it even better, this particular day was also the first day of Goodwood’s annual petrolhead gettogether – the Festival of Speed. On the day we started off with a lovely breakfast of fresh pastries and coffee and were then given a full briefing of the day included – this was a morning with BMW on the track and the afternoon was free to go and explore the FoS. We kicked off with some drifting practice in an M3 on a wet circuit and we all had a good laugh at our fairly terrible attempts at mastering the art of going sideways at less than 5 mph. Then we were let loose on the main circuit with an instructor to do a few laps in a range of cars. I started off in the 560bhp cruise missile that is the M6 coupe. It was good fun in the straights, but it soon showed it’s weight (and age) in the corners leaving me a bit underwhelmed (I had a similar feeling when I drove it on the road a few years ago). Next up was the one I had been waiting for for a long time, the new M2. Now that is a proper little track weapon! 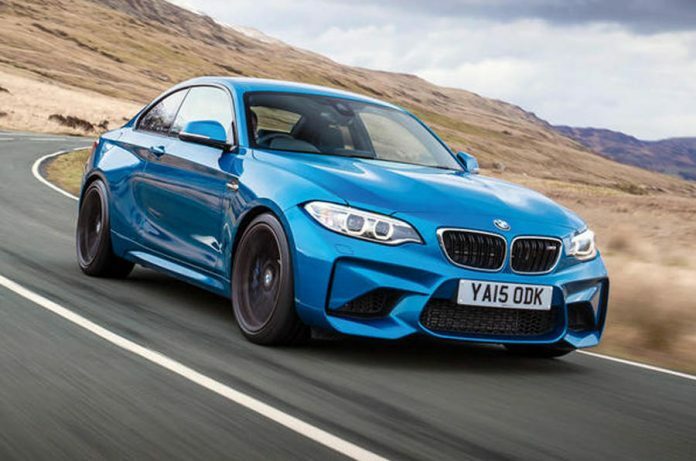 For day-to-day use, it’s probably a little bit too slow and lacks the feel and presence of the M3/M4 but with its short wheelbase and fantastic steering, it was magnificent around the circuit. We also got to have a “Hot Lap” with none other than Racing Driver and TV Host Tiff Needell in a race-prepared, fully caged and slick tyre equipped M235i which was amazing. Terrifying, but amazing. I was given the XK to sell along with the XKR but before it went, I had a few months with it in my garage and in that time I was able to take it out to a few events including the Silverstone Classic and this gave me plenty of opportunities to get to know the car and really appreciate just how lovely it is to drive. It’s such an understated and underrated coupe. It has a beautifully crafted interior and that 5.0 V8 engine just sounds how a Jag should. I fell in love with it straight away, the same way I have fallen in love with just about every Jag I have ever driven. It was a sad day when it finally went and I know the owner still misses it more than any other car he’s owned. Another great experience I had with the XK was meeting the guys over at Oakleaf Automotive who handled the sale for me in the end. They took the car, valeted it, marketed it and handled all the stress that usually goes with selling the car and I got a much better return on it compared to what I would have got with a trade-in and none of the hassle I normally experience selling cars privately. Through this experience, I have spent a lot of time talking to the team there and they really do make the whole process easy, but also keep it personal so you know your car is being treated as it should be and you are getting a service you would use again and again. 2018 is starting with a bang here at Well Driven. I have a very interesting car to test in the first week of January with a full review going up soon. I am also going to a few shows and events in January including the Sunday Scramble at Bicester Heritage (where I’ll be celebrating my birthday, so if you’re there come and say “Hi”!) I will be at Autosport International the following week as well and hopefully I’ll have a few more cars to drive and review after that. There will also be some big changes to the website coming very soon. I have already sorted a while new design including new logo and all will be revealed very soon! I hope you have all enjoyed visiting the site this year as much as I have enjoyed working on it. I would like to thank everyone who clicks on the links and likes my posts on social media as your support is what keeps me creating these posts. I hope everyone had a great 2017 and here’s to an even bigger and better 2018!!! !